Are you ready to get dinner on the table in under 30 minutes? 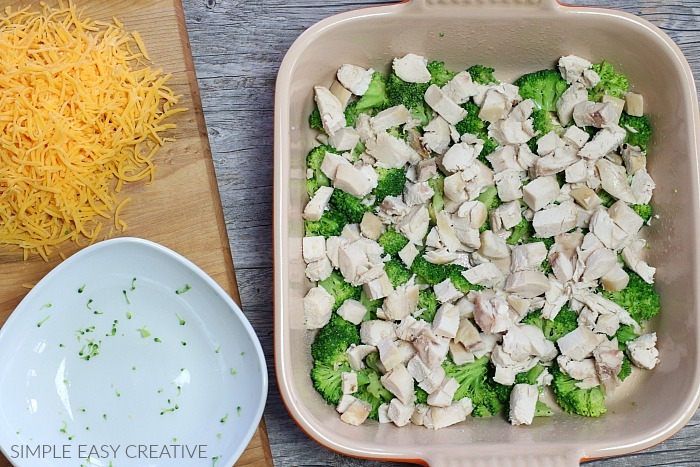 This Chicken Broccoli Casserole is one that your family will ask for time and time again. 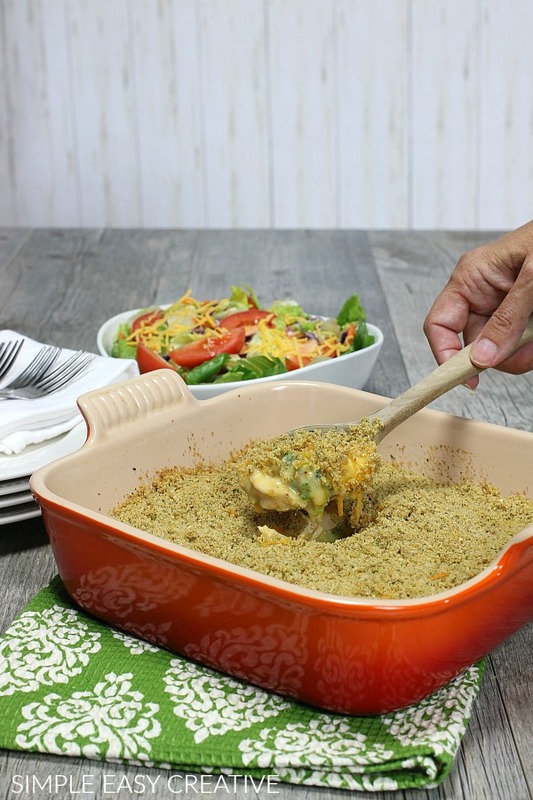 Dinner time can be a struggle, you have kids to pick up from practice, or practice starts soon – there are meetings to attend, and homework to be done, but at the same time, you want to serve your family a delicious meal that they will love. I get it! Believe me, finding those recipes that are easy, taste good, the family likes and good for you are hard to find. Well – look no further! There is nothing better, in my opinion, than a meal you can get on the table in under 30 minutes! Creating special memories with your family doesn’t mean you need to spend all day in the kitchen. Cooking dinner is only half the work, doing the grocery shopping is a whole other thing. 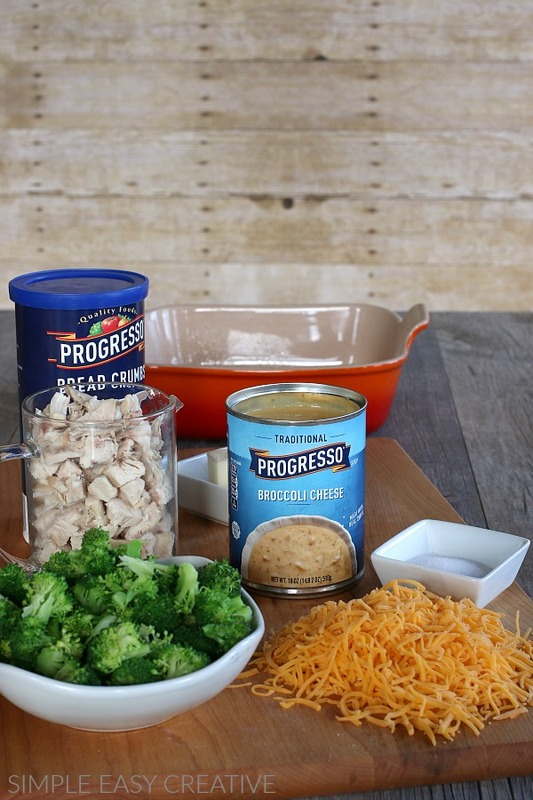 By using Walmart’s online grocery pickup, it makes the dinner super easy. While I love to meal plan, often times life gets in the way and grocery shopping just get pushed to the bottom of the list. Having a little helper in your back pocket is priceless! It’s that easy! It gives you piece of mind, and more time with your family. 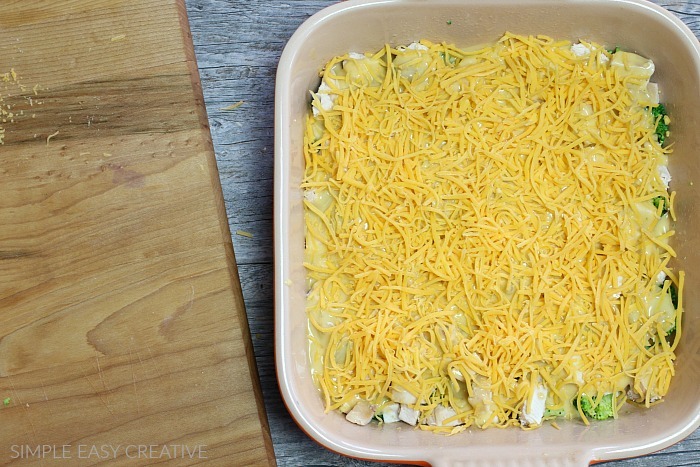 The chicken casserole goes together in minutes. 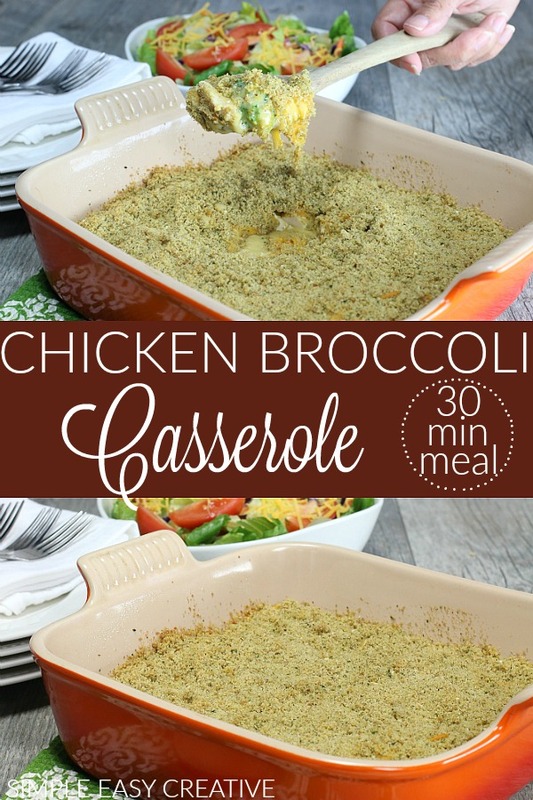 While the oven is preheating, cook the broccoli in the microwave for 3 minutes. If you purchase a head of broccoli, you can also steam it on the stovetop. 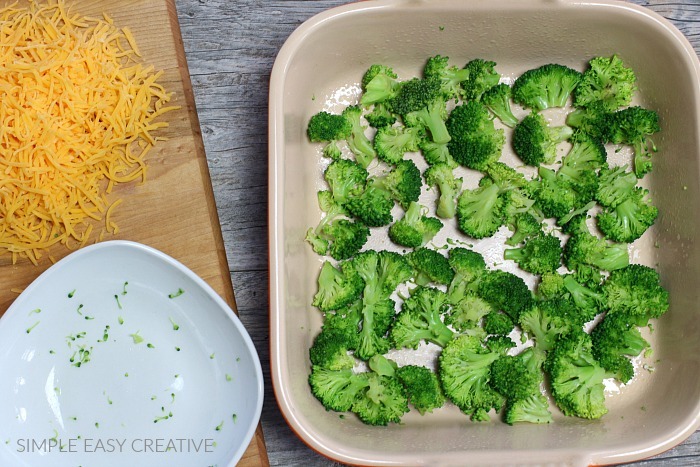 Add the cooked broccoli to the baking dish that has been lightly sprayed with non-stick cooking spray. 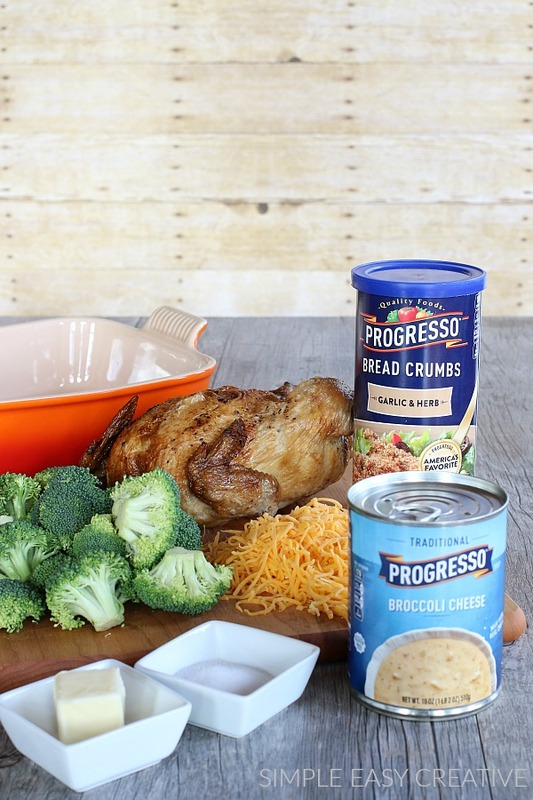 Next, cut the chicken into bite size pieces and add on top of the broccoli. 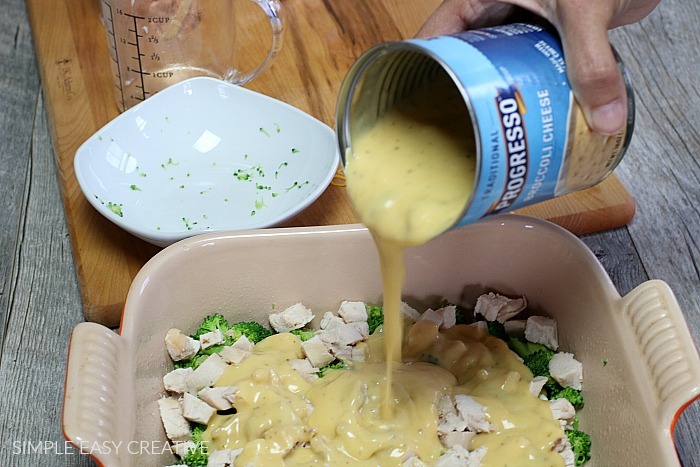 Now open the can of Progresso Broccoli Cheese soup and pour evenly over the chicken. 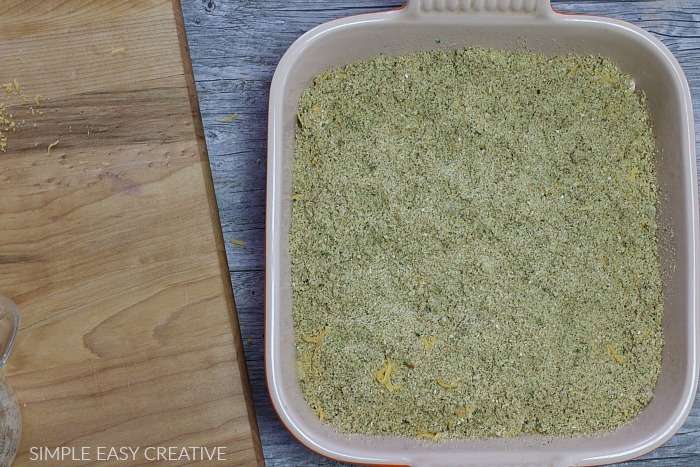 Then sprinkle the shredded cheese over the soup. The recipe calls for 1 cup, but you can add a little more if you like. 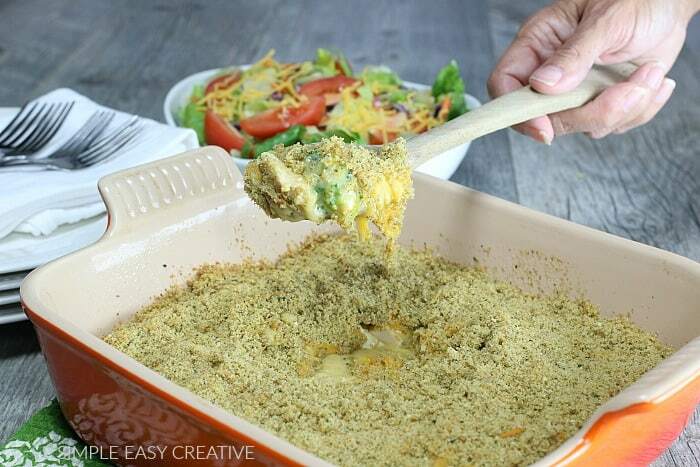 In a small bowl, melt the butter and add the bread crumbs. Mix well and sprinkle over cheese. Then off to the oven it goes for 20 minutes. While the casserole is baking, you can whip up a quick salad to go with it. The salad we had was a bag of salad mix, a tomato cut into wedges and a sprinkle of cheese. 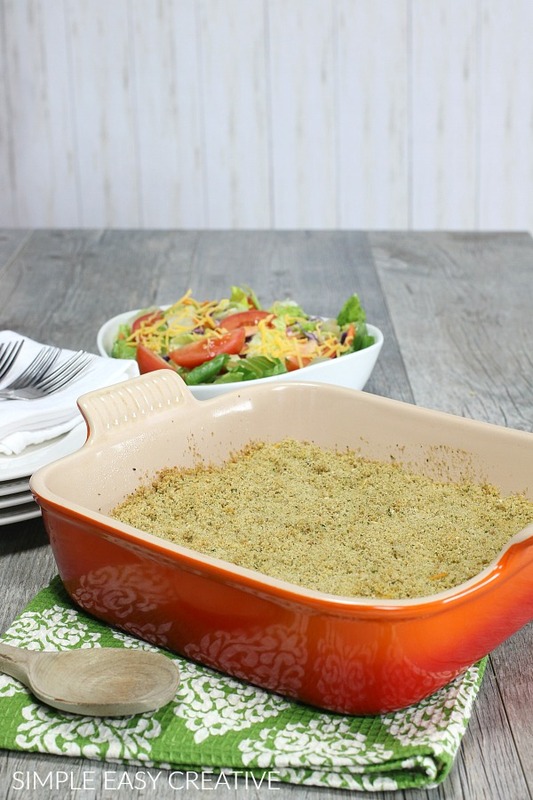 This casserole is also great with Turkey, so with the holidays right around the corner, it’s great to use up leftovers.